Thank you so much for joining me. Tell me how you got into the snack business Susan? Pep & Lekker actually started trading in November ‘16 and yet the kernel of a great idea had been taking shape for much longer. The idea evolved from a nagging frustration I’d felt for some while that the incumbent vegan aisle had been hijacked by too many products with either limited appetite appeal, spurious health claims or with a dearth of unrecognizable/unnatural ingredients tucked slyly within their ingredient decks. I would describe my son as a ‘lazy vegan’ who was struggling to find tasty, wholesome, honest brands that married meaningful flavours with nutritional gravitas. My vision was to assist his search by producing a variety of ‘vegan-friendly’ plant-based recipes with far-reaching family appeal. When you created you first batch, were you nervous at all? Absolutely I was a former lawyer, and my co-founder was a former psychotherapist and we were used to making food for our families and friends not catering in large volumes. Everything was new to us and we were both well outside our comfort zone. What was the biggest shock for me was the physicality of it all. Lucky I am fit as standing for 10/12 hours in a kitchen is much harder than it sounds and Juliette ended up with repetitive strain injury from flattening out the dough. How did Pep & Lekker perform when it first launched into the market? It’s fair to say our 1st offering (vegan soups) took a little while to gather a head of steam. The simple fact is that most soups are seen more as throwing together vegetables and blasting in a gadget rather than a nutritious and complex truly premium meal. The sheer depth of soups currently on offer means it’s hard to establish a premium price point that truly reflects the best-in-class ingredients we insist upon. That said, Ocado & Wholefoods (Nov’17) are two examples of pioneering retailers who were not only 100% on board with the sub-category we were seeking to establish but integral to our brand taking root. 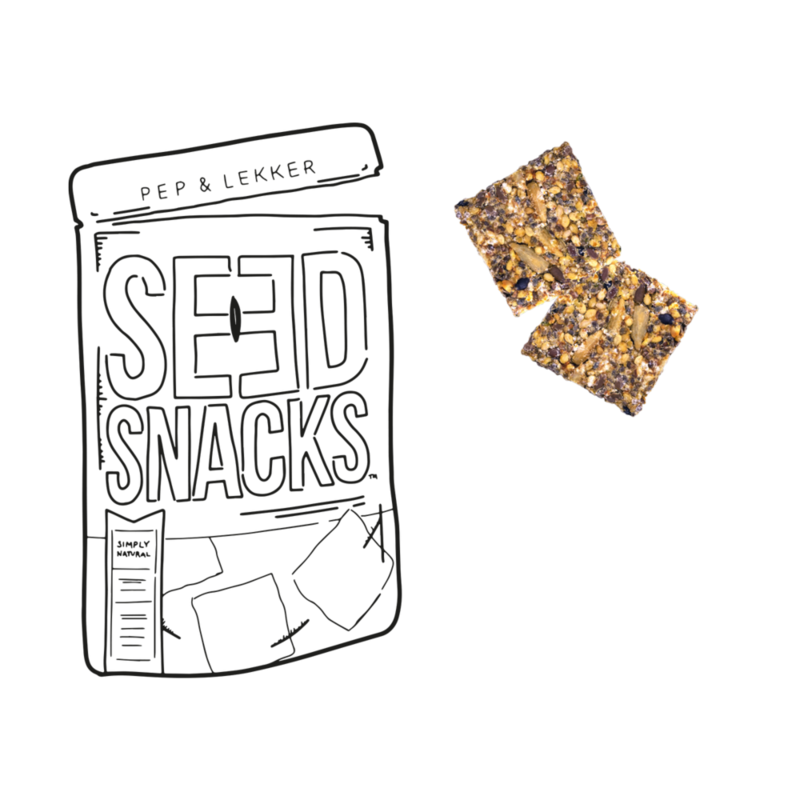 Our second sub-range, (seedy snacks) which we launched at the beginning of this month have, in stark contrast hit the ground running, on account of the vibrant demand for tasty snacks with a healthier outlook. The speed with which Planet Organic embraced our idea convinced us that we were onto something rather special. What were you doing before launching and how do you think your previous experience contributed to growing an amazing brand? My past career was absolute integral to the shaping of Pep & Lekker because I’d spent the previous 25 years working for two of the City’s most prestigious global law firms. I’ve always known what it is to work hard, to have drive and determination, the importance of developing relationships, and that value for money does not mean cheap. Much of my workload in my formative years as a corporate lawyer involved listening to, advising and guiding successful entrepreneurs in their various ambitious quests to carve out distinct and defendable business ventures. Looking back I think I was a little envious of their pioneering freedom and even though it took me over 20 years to take the leap, when I turned 50 I decided to join forces with my sister-in-law (Juliette), a superb cook and ex-psychotherapist and establish our very own heartfelt ‘disruptor’ brand. That said, my legal background meant my mindset has always been one of ‘calculated risks,’ which is why I first enroled at business school to secure a second degree, and really understand the key drivers behind a successful business. Do you think powerful and long lasting branding comes from building a lean organic business? No, I think it’s a brand’s clarity of its convictions that really allows it to stand out from the crowd, build trust and gather real momentum. In a world where there’s a proliferation of choice, it’s imperative to convey one’s priorities succinctly, emphatically and enthusiastically. We truly love what we do and I think our brand sincerity shines out across all we do. How do you balance it all – with business and personal life? Starting a business it’s very difficult to achieve balance and Pep & Lekker is really 24/7 at the moment. I am very fortunate that my husband and children are very understanding. They know that I spent many years in a job that I did not enjoy to support the family and make their needs a priority. They appreciate that the business is an absolute priority for me. On the plus side, it’s great to see the family taking on a lot of ‘family duties’ and I’m especially enjoying having family dinner made for me!!! What do you think sets Pep & Lekker apart from other brands? Our commitment to get things ‘just so’ is especially rigorous. We’ve always worked with a nutritionist to ensure our products capture just the right balance of ‘delicious meets nutritionally well-rounded’ and recently we’ve aligned with a ‘food developer’ who we’ve tasked with further enhancing the appetite and nutritious appeal of our soups. To my mind Pep & Lekker’s ongoing commitment to never stand still or assume ‘we’ve cracked it,’ is yet another small business strength that sets us apart from the masses. Finally we refuse to adhere to traditional vegan/flexitarian stereotypes because whilst it’s true that our brand targets discerning vegans, flexitarians and the weight conscious, we want our foods to have broad-brush mainstream appeal, because our bigger vison is that one day healthier living will be the norm. What advice would you give to entrepreneurs getting ready to pitch to big brands? Be positive, there has never been a better time for smaller ‘focused’ brands to capture the hearts and the imagination of major retailers because innovation and differentiation are high up their tick lists. Accept that pitching is a learning process and not everything will go swimmingly each time. The odd trip or wrong turn is an inevitable consequence of stepping into the wilderness and how you deal with adversity is what will ultimately define you. Was there ever a point where you felt you were biting off more than you can chew? If yes, how did you get past those moments of doubt? Oh yes it sounds a bit corny but starting your own business is a real ‘roller coaster’ ride and there are constantly ups and downs. Our first consumer show was incredibly ambitious. In our first month of trading, we were offered a late cancellation at an incredibly cheap price and we naively thought it was an opportunity too good to miss. With no previous training, we were advised that based on the proposed footfall we should make 200 litres of soup. Juliette and I nearly broke our backs making 200 litres of soup only to find that 95% of people were at the show for free samples. Rather than flog a dead horse, we decided that we were going to give the soup out for free and use the opportunity to raise awareness. We got some incredible feedback and used all these learnings to develop and improve our offering. We also learnt more about consumer shows the hard way!! You’re passionate, determined and focused on your goals. Do you have a strategy to just get things done? Yes writing lists each week and setting monthly milestones. When you cross things off your list you feel a tremendous sense of achievement and when milestones are reached give yourself a treat to celebrate! I also ensure that I have goals outside my business. Currently, I am training for a half marathon with my youngest son, Henry. This gives me important bonding time with Henry and ensures that I stick to a fitness regime which I know is so important to deal with all the stresses and strains of a start-up. What is your ‘over-arching’ vision for Pep & Lekker? Bed down our presence within the City’s headline healthier living retailers before gaining a pertinent foothold outside of London, align with a forward-thinking major multiple (or two) establish an online offer, and explore travel, hotel/hospitality and export opportunities. What do you think entrepreneurs should be focusing on this year? Ingredient deck transparency – bring an end to tenuous/misleading on-pack messaging and deliberately ‘evasive’ ingredient decks. Are there any future plans to diversify the Pep & Lekker product portfolio? Dips is certainly an avenue we’d like to explore going forwards and maybe a bespoke kid’s offering? 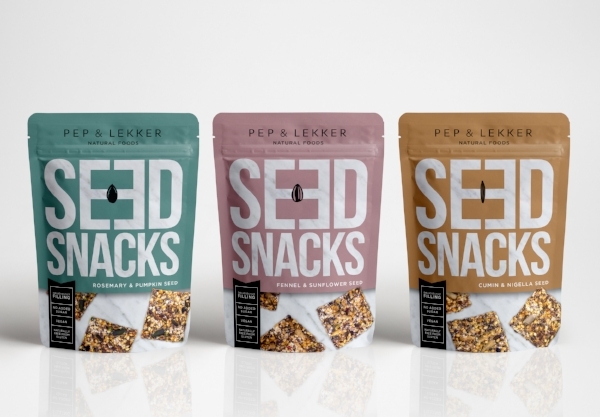 We want Pep & Lekker to be a brand that consumers can trust as being synonymous with convenience food made from simple wholesome ingredients. Connect with Pep and Lekker on Facebook, Instagram and Twitter.